Gain experience and race tactics on Thursday as we ride the famous Duplesis Hill. In the afternoon we will have swim practice practicing passing and drafting and we will do a technique analysis at the St Jovite Pool. Thursday night potluck dinner and triathlon coaching talk. Friday morning meet for 8:00am run from transition zone. Ride from transition zone 66k-82km course. Lunch and debrief and return to Ottawa late Friday afternoon. Great prep for Mont Tremblant races and the Ironman, Rideau Lake Cycle Tour or Meech Lake Triathlon! This year we will have 3 coaches plus our Director of Logistics and Humour! Team Triumph Head Coach, Julia Aimers and Assistant Coaches, Maggie King and Kevin Willis will all be at camp ready to help you get ready for the Tremblant races. 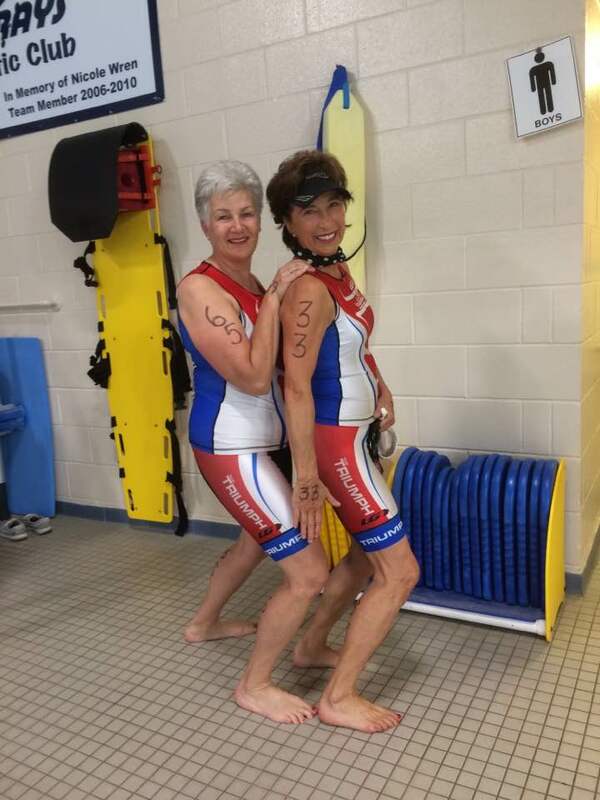 Julia has been successfully coaching athletes for over 16 years to compete at triathlon at all distances. Coaches Maggie and Kevin know the Tremblant Ironman course well. They both qualified for Ironman Hawaii on the Tremblant course! 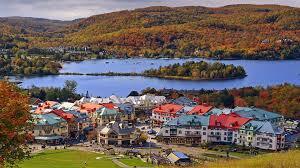 If you are doing a Tremblant race this year, you will not want to miss this camp! Camp will continue in all weather conditions! All campers must be members of Triathlon Ontario and hold Triathlon Ontario personal accident insurance. ONLY 20 SPOTS AVAILABLE - Registration opens March 10th, 2019. Open to current Team Triumph members only until March 18th. Non-members can register after March 19th, if we have spots available. 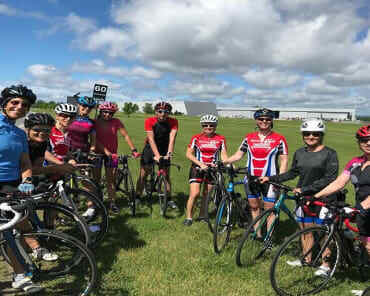 As a member in good standing with Triathlon Ontario, all campers and members of Team Triumph must have Individual Sports Accident Insurance through Triathlon Ontario. For your safety and security you must join Triathlon Ontario on an annual basis. Please go to triathlonontario.com to become a club athlete member and take out the personal accident insurance. Team Triumph is a great Club where people from all levels of fitness can train. I was first introduced to Coach Julia when I went to a Training Camp in Utah as a tag along. My husband was training for an Ironman race at the time. I was recovering from an injury, but that didn't stop me trying the different activities at a beginner level. I remember swimming in the pool for Julia's first assessment. I was exhausted after only a few lengths. She gave me a few swim tips and I was eager for more. That was the point where I decided to schedule a one-on-one meeting with Julia and develop my plan to become active for life. In September 2016 I started learning to spin and run for the first time and took swim lessons to improve my technique. With Coach Julia's support and friendship from team members I have not looked back! With encouragement from my great friend Heather I joined TT in the fall of 2014. I remember nervously arriving at Canterbury Pool for the initial hour of swimming. Well I gasped at the thought of a 300 M warm up! I asked Julia if we had the whole hour to complete the warm up! Well it wasn’t too long after training and relearning the proper stroke technique the the warm became pretty easy. Now the 500 M time trial was a challenge but I was able to do it! In the spring of 2015 I completed the Perth Triathlon...lots of fun with TT and Julia was an amazingly supportive. A Christmas gift from my husband in 2015 allowed me to go to the Utah Training Camp in April 2016. I was certainly nervous given the experience of the athletes attending. I met some new people and everyone was friendly and supportive. We had a great time participating in the Sand Hollow Sprint Triathlon. More recently I have cut back on the swimming, but I hope to continue next spring. After a hip replacement in 2017 I am back spinning. The group dynamics of the spin classes with Maggie and Julia is fantastic. The music is great, the work out is awesome (I am soaked by the end of the class!) anyone holding back from joining TT for fear of intimidation....no need! 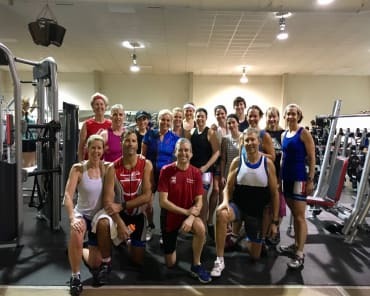 Well have all started from different levels of fitness and experience and Julia and her team are there to train, coach, support and “POOOSH” all the way! What I like most about Team Triumph is the amazing community of support! Whether you are training/competing for/in your first 5km race or Ironman everyone is there to support and cheer you on! I have met some of the most amazing and inspirational people/athletes through Team Triumph!